What a great piece! 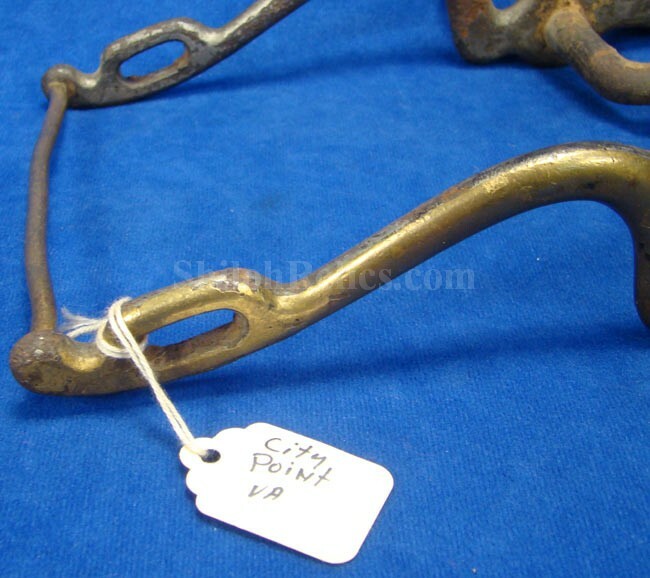 It is an original Civil war bridle bit but this is a rare version! 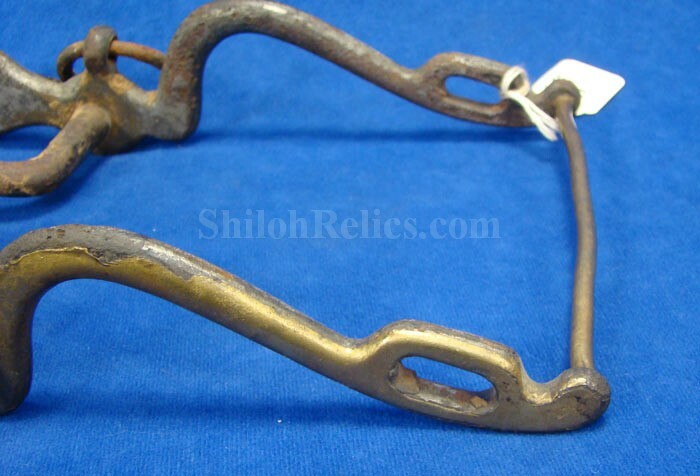 This is the rare version that is known to collectors as the U.S. Model 1859 artillery bridle bit. 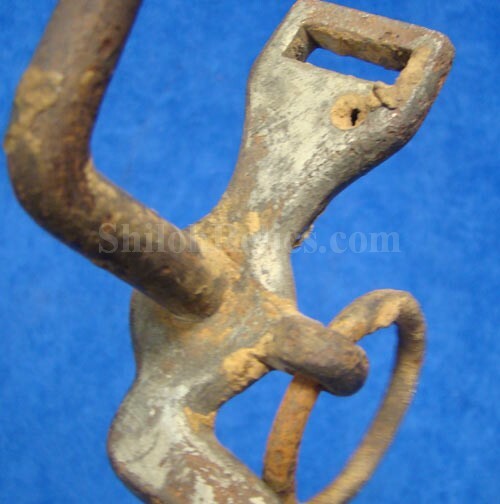 When was the last time that you saw this style offered for sale? 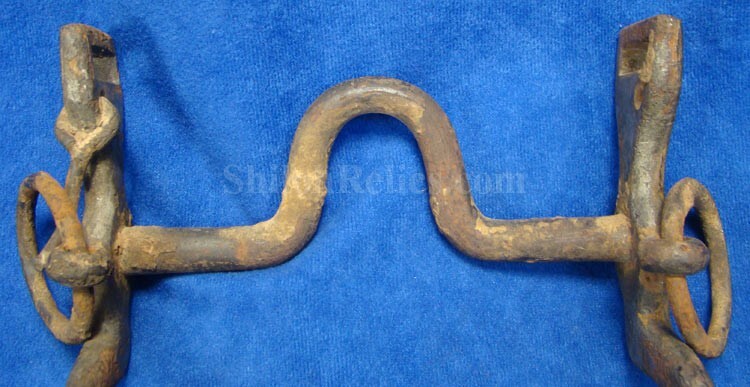 In the book they list this version as the 1st pattern US model 1859 artillery curb bit. 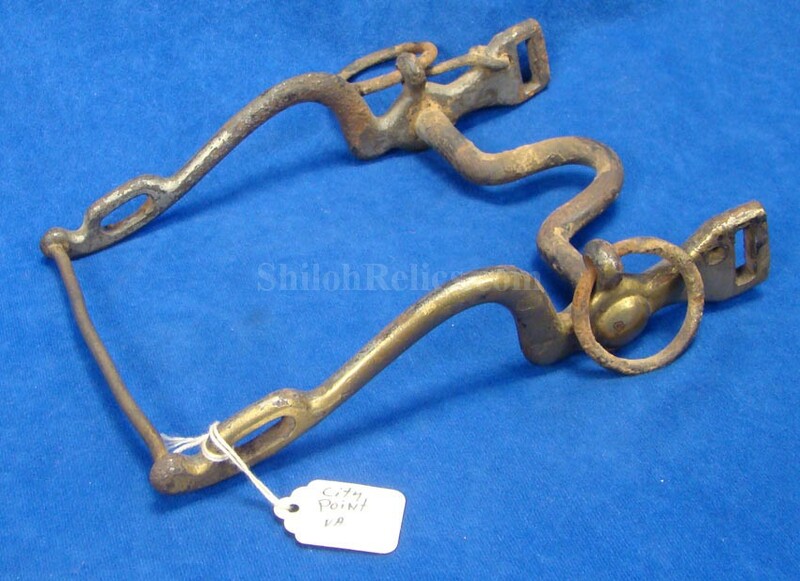 This pattern is easily distinguished because the sides of the bit have the brass facing, but are manufactured without the rosettes. 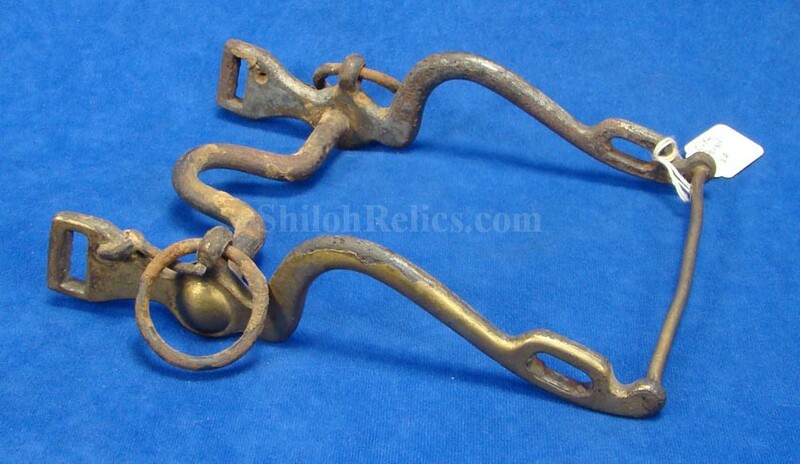 This fee still retains a superb amount of the original brass as you can see in the images. 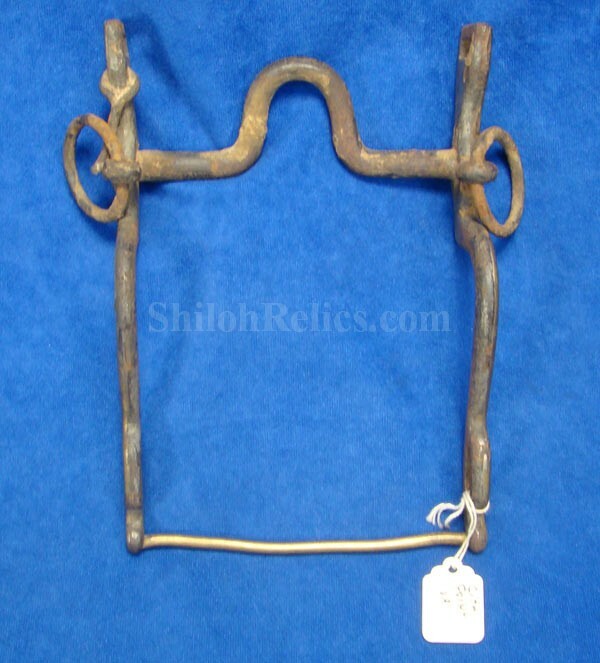 This one is in excellent shape for an excavated piece and is almost nice enough to use today. 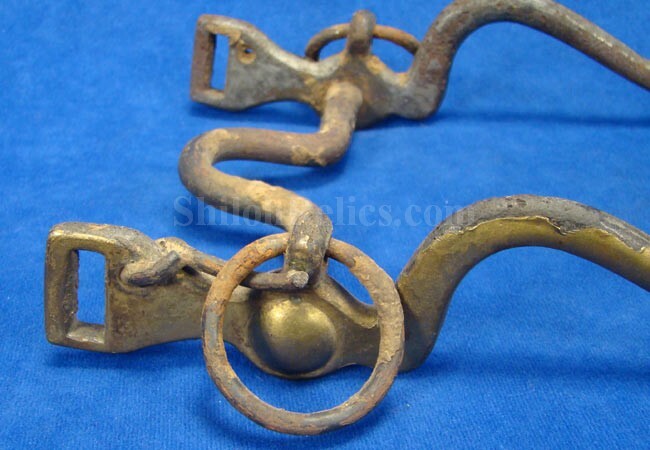 These bits have the high port bar on one side but the front bar has strap loops instead of the large circular loops like the usual bits that you encounter. 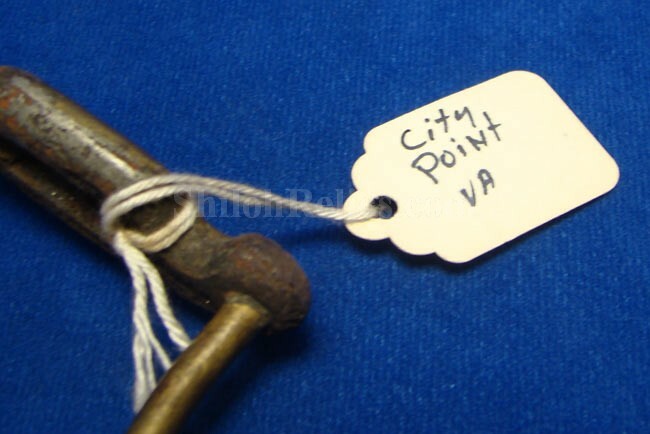 The rings are placed on the end near the strap loops.the verbal history that accompanied this piece is noted on the tag that states City Point, Virginia as the location of recovery. 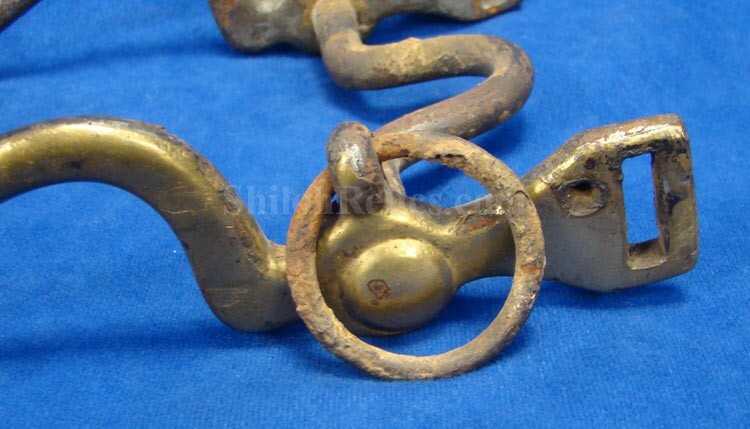 This is a superb piece of Civil War artillery gear.